No HOA Condo Fees until 2020! 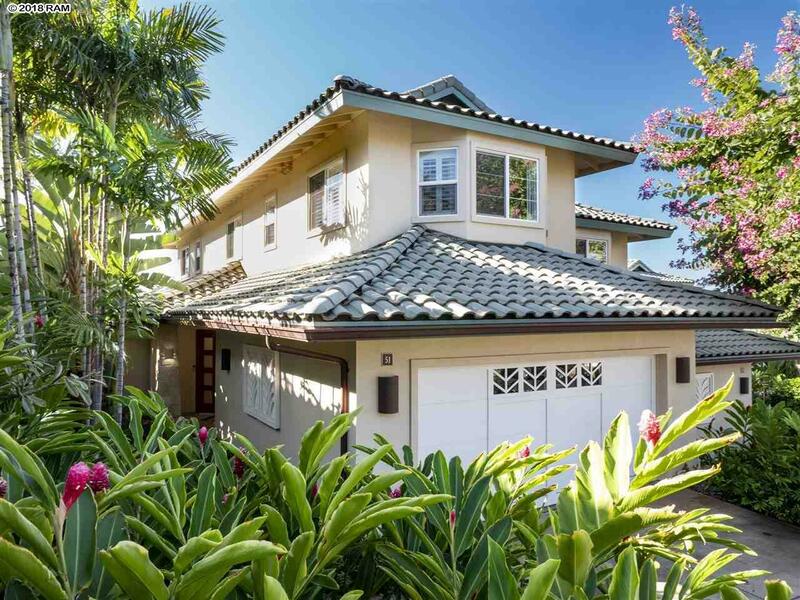 Your gorgeous Kai Malu home awaits! Enter and let the peaceful relaxation begin. This home is beautifully kept, with travertine tile flooring downstairs, except for the gleaming hardwood floor upgrade in the 1st floor bedroom. You feel yourself drawn to the lanai and the tranquility of your private pool with spacious backyard area to catch those amazing sunsets. 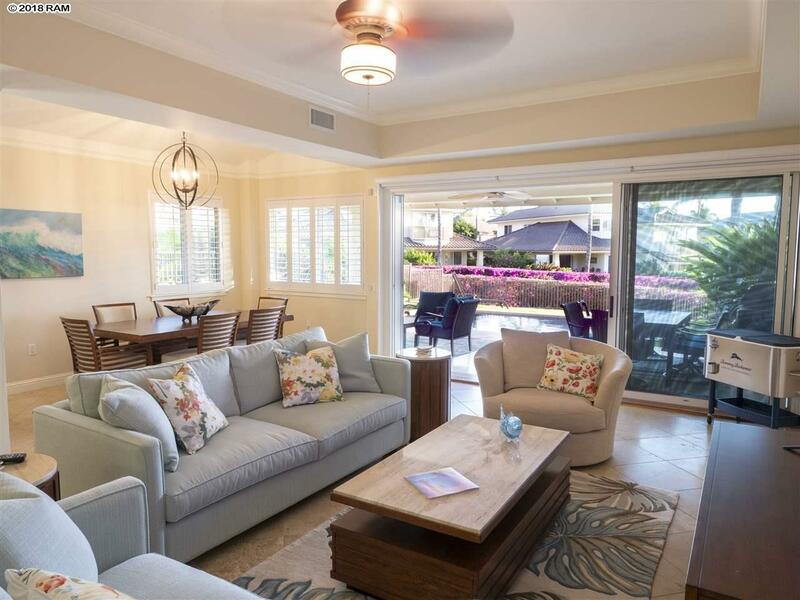 Exploring the extended lanai, the shimmering ocean comes into view and the indoor/outdoor lifestyle calls your name. 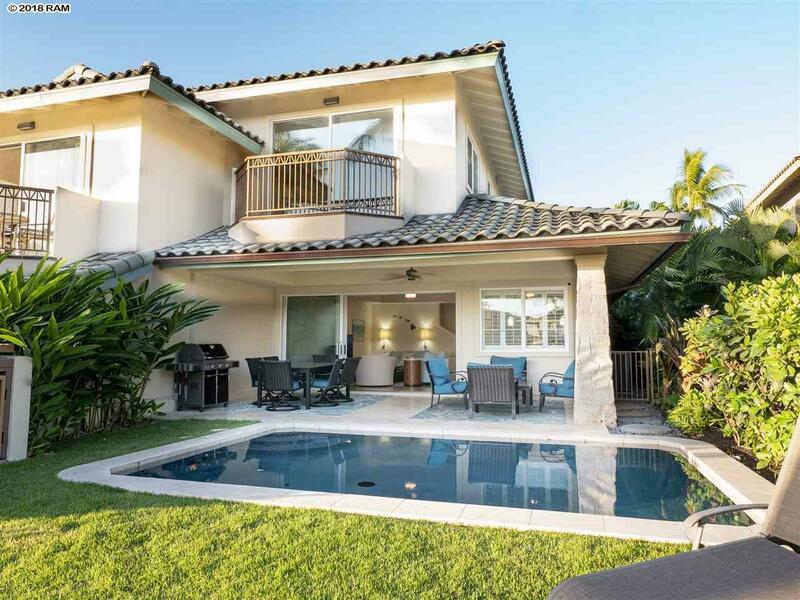 Multiple upgrades include the "Nest remote control thermostat, auto shades for the lanai sliding doors and the plantation shutters throughout, complementing the crisp, clean condition of the home. The kitchen is striking with stainless appliances, Wolf cooktop upgrade and impressive granite countertops, all framed with handsome cabinetry. The upstairs brings you to the wonderfully bright master suite with ocean views. 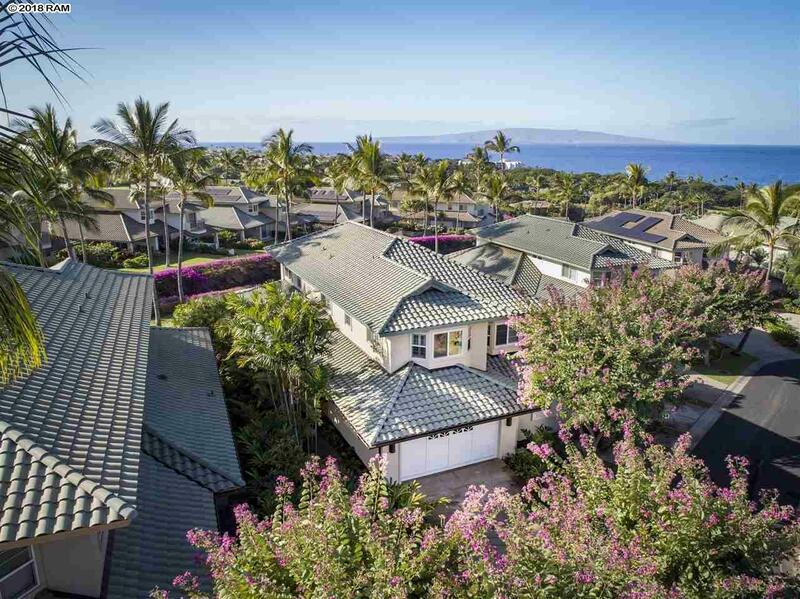 The lanai off the master suite will delight you morning and evening, as Haleakala towers majestically to the east and ocean with outer islands to the west. Your 2nd bedroom is bright, cheery and ready to pamper those special guests. The "Hale infinity pool for the community is simply breathtaking, with spa, gym, sauna, entertaining areas and more available at your leisure. Kai Malu 13-A has it all - and its waiting just for you!